The next competitor against android phones is the window phones that are coming up. Till date it was difficult to compete against the Apple iphone5, but the new Nokia Lumia 900 shows that it can give the Apple iphone5 a serious competition. Looks have very deep impact on a person’s mind. This is where the Nokia lumia 900 will score a little more than apple iPhone5. It comes in vibrant colors and gives a bold and smart look. The iPhone 5 however, is no less. It aluminum casing which is combined with svelte looks makes it stylish and bold with the curved edges. Both are very strong phones and can literally withstand anything but the poly-carbonate casing of Nokia Lumia 900 might get a better rating of withstanding more than an Apple iPhone 5. Accidental presses are very common in an Apple iPhone5 but Nokia Lumia 900 saves that as it has the trio capacitive windows button. Nokia Lumia 900 has a micro/USB port and a shutter key. While Apple iPhone 5 has a separate mute button and a lightning dock port. However none of the phones have internal memory space or any battery access. Both the phones have 8 megapixel camera with auto focus and LED flashes. Apple iPhone5 has F2.4 lens where as Nokia Lumia 900 has F2.2 lens. Apple iPhone 5 has a 1.2 megapixel front camera where as Nokia Lumia 900 has a 1.3 megapixel front camera. However Apple iPhone 5 takes better shots with great details. Here there is no question about the display of an Apple iPhone 5. It has one of the best displays among the available smart phones in the market and is definitely better than a Nokia Lumia 900. Apple iPhone5 is smaller by three tenth of an inch than Nokia Lumia 900 but with its resolution of 640×1136 makes it more powerful and clearer than any other phone. 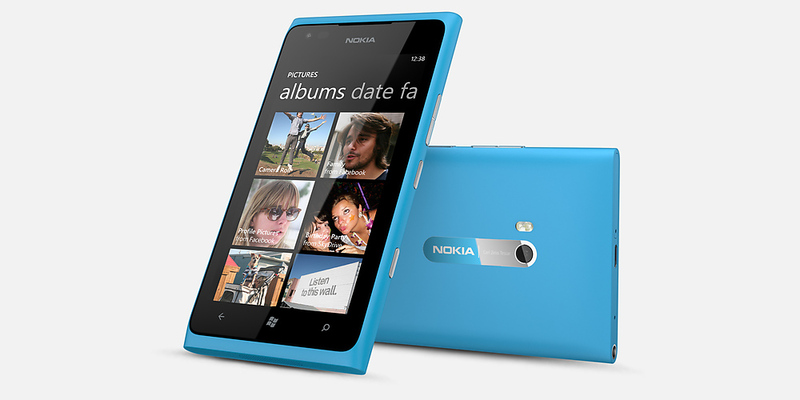 Nokia Lumia 900 has 4.3 inch WVGA and a resolution of 480×800. So here Apple iPhone5 obviously wins over Nokia Lumia 900. Apple iPhone 5 flaunts the iOS 6 experience that it uses which gives the phone a lot of new features. Whereas the Nokia Lumia 900 still runs on a year old windows system with 7.5 Mango experience. On the surface level both are good functioning phones but a deeper study will tell us that the iOS 6 system is much more simpler and has more to offer. Apple iPhone 5’s features and apps are much more polished than Nokia Lumia 900. In the world of android phones Apple will obviously attract more people as it has a huge number of apps as compared to what windows can offer. Very honest these phones do not need very high definition processors to make them work attractively. With the kind of offerings it comes the processor is no big deal. Yet Nokia Lumia 900 comes with a Qualcomm Snapdragon S2 processor and 512 MB. Whereas Apple iPhone5 comes with a 1GHz dual core A6 processor with 1GB of RAM. Both the phones are available with 16 GB memory card space. But Apple iPhone 5 can expand up to 32 and 64 GB. Though an Apple iPhone5 will cost much more than a Nokia Lumia 900, but iPhone 5 is a much lighter phone and a very user friendly phone. As it works with iOS system, it can give its users more features than that of Nokia Lumia 900 that still works on windows system. Therefore an Apple iPhone5 is more satisfactory despite its high price. As much as i think, Lumia 900 is much better phone than Iphone because of its beauty. The iPhone 5 is way better than Lumia because of the App Store. It’t the app that makes all the difference. Both phones are awesome. Iphone is better because of its luxury look, apps and brand. But i think both are great.